There are lots of economic theories out there. One goes that the more workers get paid, the harder they work and the more profit they produce for their companies. You've probably heard this economic relationship cited in various ways on different occasions, but the thrust is generally the same: higher pay equals higher productivity. Fed Chair Yellen is among the most high-profile adherents to this theory, having published several academic papers on this subject in the past. But as with anything in the world, nothing is that simple probably. While this approach contributes to success, there is evidence that says other factors could be important as well in motivating employees. These include recognition, job satisfaction, benefits, personal growth and others. It seems humans aren't simple enough to boil down to one metric, so a basket of metrics is probably more accurate in predicting outcomes. What can community banks do with this information one might wonder. Some recent evidence may suggest community banks may have enjoyed at least some of the productivity gains that academics have been predicting. 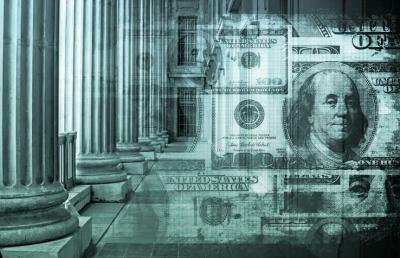 At the Community Banking in the 21st Century research and policy conference last October, co-sponsored by the Fed and the Conference of State Bank Supervisors, one of the presentations involved some wage research framed by passage of the Dodd-Frank Act. It found wages have risen at community banks since Dodd-Frank took effect, but apparently so has productivity on at least one front. The Fed's Community Banking Connections publication related that finding in its posting about the conference. "On average, salary-to-asset ratios and average pay per employee increased at community banks following the passage of the Dodd-Frank Act. In the wake of the Dodd-Frank Act, the number of loans per employee also increased. This suggests that the higher-paid staff hired by community banks, while more costly, were more productive." This is certainly interesting information to ponder. Of course, as we said above a singular metric doesn't tell much of a story. After all, loans per employee is just one measure of productivity. Just because loan productivity rose at the same time that wages went up, doesn't necessarily mean that the higher wages caused the bank employees to work harder or smarter. Further, the whole wages-productivity relationship doesn't address the overall question of profitability, an issue raised in the ongoing debate about hiking the minimum wage. We won't go there today, but leave this to you to discuss with friends. When you do so, consider that the federal minimum wage has been $7.25/hour since 2009. Proponents want to raise it, using Yellen-like arguments about increased productivity, while opponents predict dire consequences from an increase. For their part, banks may not feel that much effect either way directly. This is because tellers already earn a national median pay of $13.09 per hour, according to US Labor Department. Meanwhile, loan officers earn a median $29.77 per hour. Where minimum wages or wages in general are headed is difficult to predict. However, the whole question about how wages affect business productivity and profitability is important for community banks. This is because wages impact both the bank directly and stability of the businesses that borrow from your bank. If wages do start heading higher, community banks and their customers may find themselves testing anew researcher contention that productivity should rise as well. Who knows, but in uncertain times it just seems like one more wildcard right now. Yields were little changed, moving up only 1bp after low Jobless Claims data indicated a possible decline in strength for the May employment report. 1) Simmons First National Bank ($7.5B, AR) will acquire The Citizens National Bank of Athens ($552mm, TN) for about $77mm in cash (52%) and stock (48%) or roughly 1.21x tangible book. Bloomberg reports that Moody's has reduced its outlook for US economic growth from 2.3% to 2.00% for 2016. A survey of financial professionals by the AFP finds key financial priorities for companies this year are: regulatory compliance (69%), understanding and mitigating cybersecurity or cyber risks (64%), implementation of new technology (64%), talent acquisition and development (62%), and developing stronger data analytic capabilities (60%). A CSID survey of small business owners and security finds: 38% regularly upgrade security software solutions, 31% monitor business credit reports, and 22% encrypt databases. In this day and age of cyber risk, bankers would do well to remind customers to do so in order to help protect them and you. A survey of family businesses by Kreischer Miller finds current owners expect to exit from the business under the following timelines: no plan (51%), > 10Ys (38%), in the next 5Ys (36%), and from 6 to 10Ys (26%). A survey of Millennials worldwide by Deloitte finds that when it comes to having a mentor: 61% have a mentor; 83% say they are satisfied with their mentoring; 91% say their mentor is interested in their personal development and 94% say their mentor gives them good advice.